Eric Foner, DeWitt Clinton Professor Emeritus of History, specializes in the Civil War and Reconstruction, slavery, and 19th-century America. He is one of only two persons to serve as President of the Organization of American Historians, American Historical Association, and Society of American Historians. He has also been the curator of several museum exhibitions, including the prize-winning "A House Divided: America in the Age of Lincoln," at the Chicago Historical Society. His book, The Fiery Trial: Abraham Lincoln and American Slavery won the Pulitzer, Bancroft, and Lincoln prizes for 2011. His latest book is Gateway to Freedom: The Hidden History of the Underground Railroad. 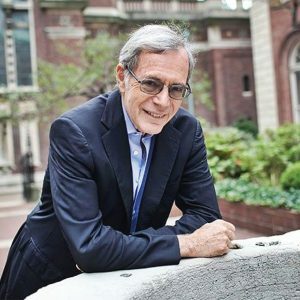 Professor Foner's new, free, online courses on THE CIVIL WAR AND RECONSTRUCTION will be available this academic year, beginning in mid-September, from Columbia University at ColumbiaX.